While there are various ways to illuminate a pathway, we are specifically going to be discussing area lights. You're probably thinking: "I thought we were talking about path lights. Why are you suddenly talking about area lights?" I simply want to clarify so there isn't any confusion if you're seeing both area light and path light, and have been wondering about the difference. By saying area light, we are just being more specific. 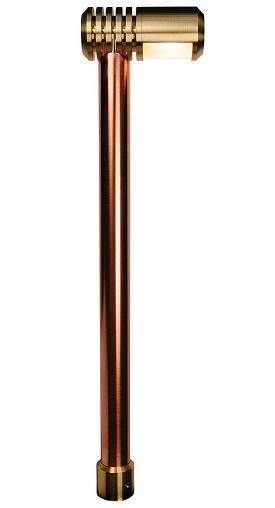 An area light is the tall skinny fixture with a top hat that throws light down onto the ground. Sometimes an area light can take on different forms or shapes. The traditional path light is a classic. 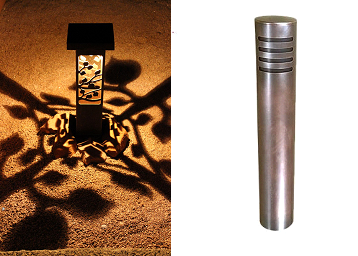 The traditional path light comes in a wide variety of shapes & styles. But in general, a traditional path light will have a post with a top hat. That being said, I've seen more variations on this fixture than any other. Sometimes the post will have intricate designs; sometimes the top hat will be shaped like a leaf or a mushroom; sometimes the top hat will even have multiple layers grooves. The sleek classic look of a path light with clean lines and smooth curves carries the most timeless look, however, I always recommend choosing a path light that won't look dated after a few years. Directional Path Lights as their name implies, are directional. Like a traditional path light, directional's have a post as well. But this is where similarity ends. Instead of a top hat, directional path lights have a light emitting head on top of the post that is directional. 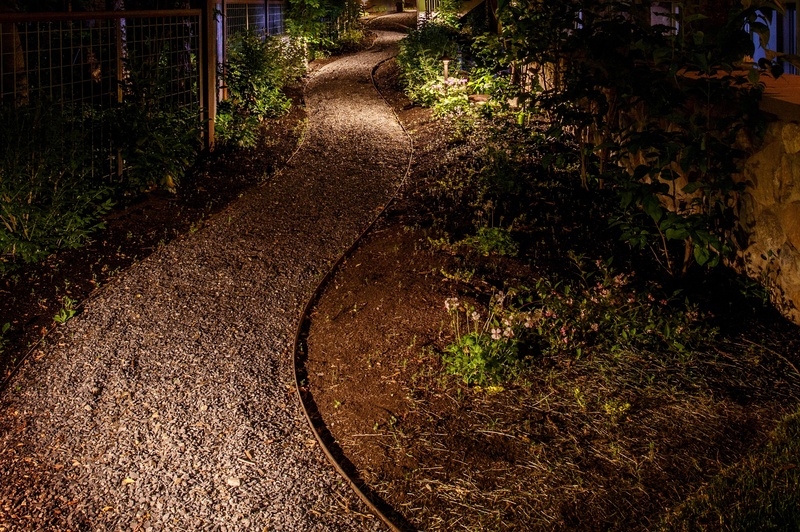 When called for, contemporary path lights can really work beautifully. Contemporary path lights come in all shapes & sizes. Much like contemporary homes, contemporary path lights are unique and different. A modern take on a traditional lighting method, contemporary path lights blend in beautifully in settings where a traditional path light would look odd or out of style. The same way you wouldn't use a contemporary path light on a Tutor or Victorian home, you wouldn't use a traditional path light on a contemporary home. It all comes down to style and taste. Unlike a path light, where you again, have a post with a top hat, a bollard is typically constructed and used on a larger scale. It is often used in commercial settings or when trying to achieve a particular look. Bollards are stoutly elegant, beautifully constructed and built to stand up in places other lights would fail. In terms of scope and scale, bollards are often used on larger projects. However, they also work stunningly in the right setting. When I’m selecting a path light, the first thing I consider is the scope and scale of the home and path being lit. The height and size of the fixture should reflect the scope and scale of its surroundings. For example, if I were lighting a quaint garden path I would use a quaint path light appropriate to that setting. 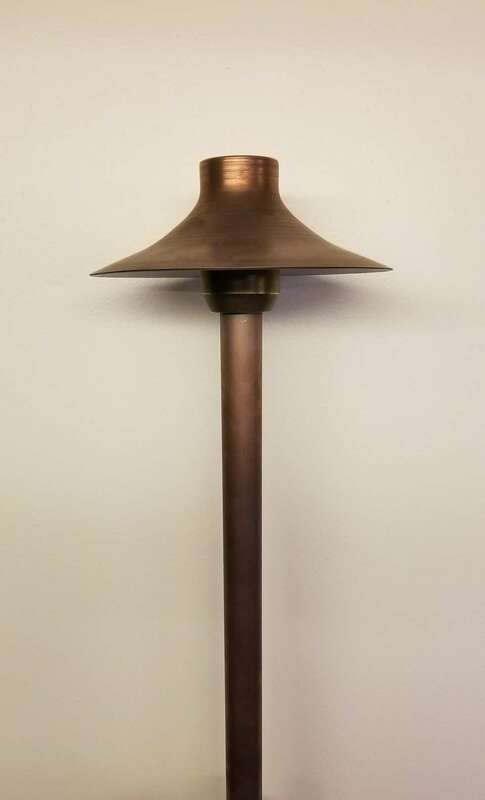 If I were lighting a large winding path that curves around a property from the front yard to the back, I would use a taller path light that is able to cast light further in a larger diameter. In addition, consider a style that will work well for the setting. For a contemporary home a contemporary fixture will compliment nicely. A steel bollard with the right look might work well for a mountain home in Park City. When choosing a fixture, it all comes down to figuring out the scope, scale, and setting. Quality is never more important than when considering the path light. Not all fixtures are built equally. No matter what type or style fixture you decide on, make sure it is quality components with sound engineering. No matter how much you enjoy the style or look of a fixture, it will fail in the end if it isn't built well. Choosing a fixture built from solid materials will ensure its durability for the long run. Outdoor lighting will only last for as long as the materials it is made from. Fixtures built from composite, aluminum materials simply don't last. They corrode and fail quickly in the outdoor environment. Look for fixtures built from metals that are able to last in the outdoor environment. Copper, brass/bronze, and steel are all great ferrous materials. 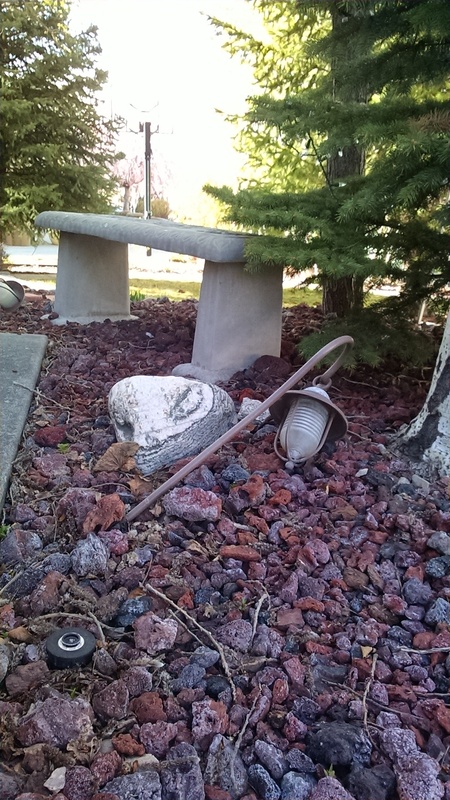 Even fixtures built from ferrous materials are still prone to failure if they aren't engineered well. The LED lamp inside a fixture needs to stay dry if it's going to work. Moisture is the enemy! If your fixture isn't built to combat rain, irrigation, & moisture accumulation, then the internal components will fail. The 12V socket, wire, and LED lamp all must remain dry and free from corrosion. The rubber gaskets, and other mechanisms meant to seal the fixture from water need to be reliable. If the fixture leaves the lamp exposed to the elements, it will fail. It's just a matter of time. Located in Midvale, Landscape Lighting Pro of Utah serves throughout Utah's residential areas, including Salt Lake City, Park City, Draper, Davis & Utah Counties. Our outdoor lighting portfolio includes projects throughout Utah and beyond.